Mr. Guy Poujoulat, General Manager, would like to welcome you. The Grand Mercure Danang is the perfect place for families and friends to gather for leisure or business in the central coast of Vietnam. Our 5-star accommodation includes 272 rooms all featuring breathtaking ocean, river or mountain views. It offers a Brasserie and speciality Asian Restaurant, bar, spa, tennis court, fitness centre and provides complimentary shuttle to town and beach. 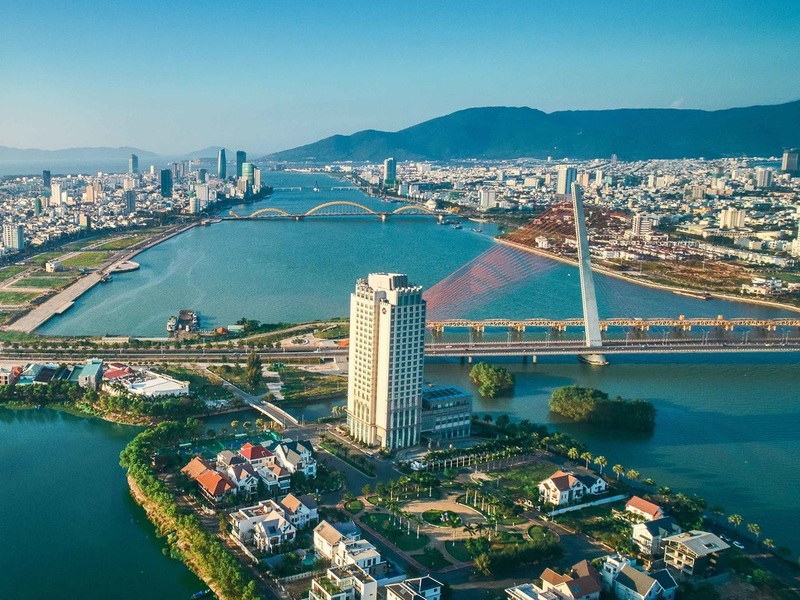 Located in the heart of Danang city, Grand Mercure Danang is just five minutes from both Danang International Airport and world-famous beaches, within walking distance to Tran Thi Ly Bridge and Han River. With an abundance of natural and cultural wonders at its doorstep, the hotel is the perfect base from which to explore the antique charm of Hoi An - UNESCO World Heritage Site and the scenery of Golden Bridge over the top of the mountain in Ba Na Hills. Our modern hotel consists of 272 rooms featuring breathtaking river or mountain views: 200 Superior rooms, 52 Deluxe rooms, and 20 Suites. Each combines stunning modern design with state-of-the-art services and locally sourced amenities. Set in a "jardin d'hiver" atmosphere, the first restaurant in Danang to introduce the "meatball" concept. The Veranda Grill serves on ice or chargrilled seafood platters and meat cuts all cooked to your liking on our specially custom made charcoal grill. The Privilege Lounge located on the 21st Floor, is truly a perfect space for discerning guests who are looking for elite and personalized services. Opening from 6:30 am to 10 pm, the Privilege Lounge will pamper you with its chic and generous benefits. Room is really good, however, the bathing water is not hot enough. First class the training at Accor must be excellent all the staff could not be faulted from top to bottom. our first stay was superb and the second the same so no drop in standard. From arrival everything was fantastic. the staff were extremely helpful and very polite. It was a pleasant experience! The staff is very dedicated and helpful. 2 nights were just ok. The room was not qualified for the executive floor. Noisy too. The wall was not sound proof built so i could hear every word from the room nearby. The business lounge was good but your staff chatting loudly, which i could not enjoy totally the privacy during my breakfast. The location of the hotel is excellent. The staff also very courteous and soft spoken. Moreover, the food quality and quantity was very well and appreciable. The hotel is very clean and modern. Staff are attentive and good. Gym is excellent. Breakfast is amazing. Very good experience. Most of the staffs are extremely friendly and helpful (except one). The room is reasonable size and clear. It will be good if shoes clearing material is available. The sleepers don't have packing so not sure they were used by previous customer or not. If so, it doesn't seem very hygienic. I did enjoy my stay. From the driver who pick me up to the reception all of them is very accomodating. The room is very comfortable and relaxing with a great view. Very accommodating staff, extremely helpful and friendly. The hotel facilities are very good, the swimming pool was great to help cool down during the hot weather. We enjoyed a massage at the spa and were able to avail of an international womens day discount which was fantastic. The staff at this hotel are very friendly and helpful and definitely added to our stay. It was very nice stay. When I went to breakfast with my family. Thank you for taking care of a lot of things. The staff were always kind. Thank you especially for the F&B manager, outlet manager and the korean F&B manager.